Hawksey Workman's friendship with Hot Hot Heat's Steve Bays goes beyond simply playing together in the band Mounties. Workman just released a video for his song "Teenage Cats," and it's directed by Bays. 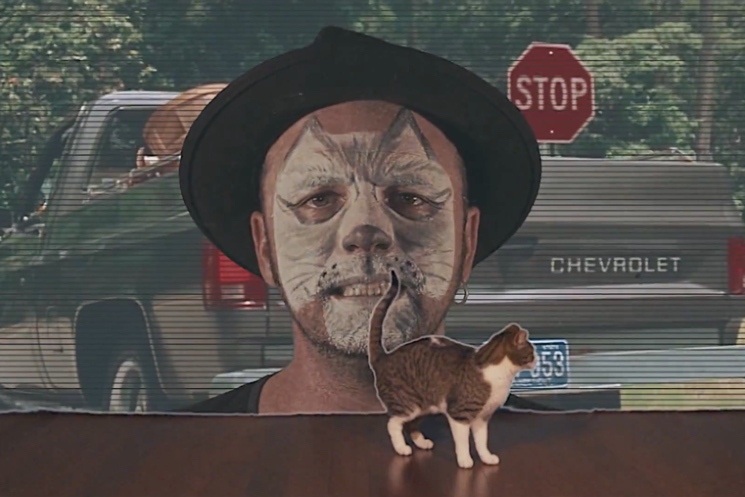 The clip for this glammy pop-rock tune from this year's Old Cheetah shows some kids dancing around a room in costumes while green screen visuals behind them show footage of domestic cats plus images of Workman singing along while wearing feline face paint. The dancing kids even bringing in a couple of their own cats at points. Watch the cute clip below, and be sure to check out Workman's tour schedule.